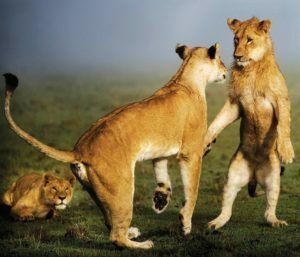 The Maasai Mara is known as Africa’s Greatest Wildlife Reserve, situated in southwest Kenya. Famous for the abundance of lion, the Great Wildebeest Migration and the Maasai people, well known for their distinctive custom and dress, it is without a doubt one of Africa’s most famous safari destinations. The Maasai Mara National Reserve stretches 1,510 sq km (580 sq miles) and raises 1,500-2,170 meters above sea level. The terrain of the reserve is primarily grassland and riverine forest with clumps of the distinctive acacia trees. It’s about 270 km from the capital city Nairobi and takes about 5-6 hours by road or 40-45 minutes by flight. Rehabilitating long-degraded areas, restoring natural habitat areas, protecting wildlife from poaching and snaring, managing grazing areas for livestock, responding to human-wildlife conflicts and develop a quality network of roads and tracks. In order to minimize their impact on the environment and wildlife, all member camps also strive to utilize environmentally friendly technologies such as solar panels, eco-burners, ‘green’ waste and wastewater management systems, organic composting for fertilizers or bio-gas, as well as the use of eco-detergents and sustainably grown firewood. Professional land and wildlife management is equally important as securing the land. MNC employs a COO and Conservancy Manager to oversee all management and operations of the conservancy. The guiding principle of MNC’s ecosystem management is the formation and implementation of policies that maximize the long term value of the area. Mara North Conservancy has a conservation area of 30,000 Ha which accommodates the twelve member camps in a sustainable way that benefits the environment, the wildlife, and the community. 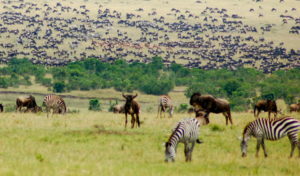 The Mara North Conservancy has one of the lowest tourist and vehicle densities in the ecosystem due to managed volume and strict land-use plans. The number of beds per camp is restricted based on Mara North’s formula of one bed per 350 acres (or one tent per 700 acres). Low density tourism, as well as a limited number of game vehicles provides an exclusive safari experience, while minimizing the impact on the environment. 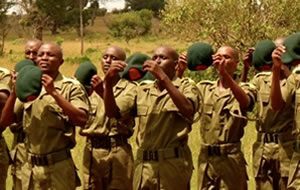 The MNC head warden and the rangers are exploring multiple means of addressing potential human-wildlife conflicts, including raising community awareness to discourage retaliations when predation does occur, mediating when it does – and seeking lasting, shared solutions for peaceful coexistence. MNC’s management team also manages livestock grazing to accommodate the diverse needs of wildlife, local communities and tourism partners. To do so MNC maintains specific zones, and periods, for livestock grazing. MNC has developed a compensation scheme in the event of predator livestock conflicts and has established predator proof enclosures to safe keep livestock at night. MNC supports natural habitat restoration through professional ecosystem management approaches and techniques, e.g. reforestation.